Psychology is the study of a human's mind and how it works. If you already have a background in psychology and are curious about the available psychology certificate programs that you can pursue in order to beef up your resume and your qualifications, then continue reading. While there are several options for certifications, it is important to understand that these certifications must come before you start a higher level program like a degree. With that being said, it is perfectly acceptable for individuals who did not obtain their undergraduate degree in a psychology related field to pursue a certification in order to prepare for a graduate level degree program in an area of psychology. In addition to your bachelor's degree, you will also be required to submit copies that demonstrate a satisfactory score on the GRE (Graduate Record Examination). 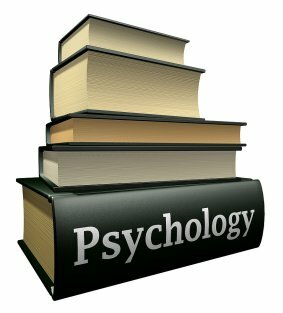 As you begin working to complete a certification program in psychology you will likely be required to take introductory, intermediate, and advanced level course work that is similar to the requirements of undergraduate psychology majors. You should also expect to be required to complete research that will help prepare you for further educational studies. For example, a certification program will make it possible for you to enter the career fields of social work, education, public health, or management. A certificate program in psychology typically requires two full time semesters of course work. For students who intend to continue their studies with graduate school, it is common for them to take these two semesters in a fall and spring term. Within the course work for the certificate program in psychology you should expect to be required to complete approximately 28 credits. It is common for students to be required to complete course work such as abnormal psychology, perception and sensation, methods of research and social psychology. Students should be prepared to take an introductory level psychology course, a laboratory course related to experimental psychology, and an introductory course in statistics. In addition, students completing the certificate program in psychology must successfully pass a class in psychobiology and neuroscience, social, personality, and abnormal psychology, and perception and cognition. Once you have these requirements out of the way, you will need to complete an advanced seminar of your choosing. It is typical for this to be relative to your course of study. Lastly, you will be responsible for completing two semesters of supervised research. While this portion of your certificate program may vary some from one college or university to another, this will still be a large part of your educational requirements. For instance, some learning institutions allow students to complete one semester of lab work and one semester of supervised individual research to replace the two semesters of supervised research. Keep in mind, the options you have for this part of your certificate program will likely vary depending upon where you choose to attend school. It is common for individuals who have completed a certificate program in psychology to work in many different service type capacities. For instance, you could work with senior citizens, with physically or mentally disabled children, or with physically or mentally disabled adults. You could also seek employment working with individuals who have behavioral disorders. It is also feasible to become employed as a case worker or case manager. Other employment options would be as an outreach coordinator or as a career counselor. Of course, with your graduate degree and completion of a certificate program you will have even more employment opportunities. For instance, you could work as a clinician or as a psychologist.